Garry Clarke has been practising in Donegal since 1995 and works in the areas of Property, Business Law and Probate. 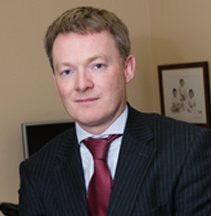 He is a member of the Donegal Solicitors Bar Association, The Council of The Law Society of Ireland and The Law Society Regulation of Practice Committee. He is Secretary of Letterkenny Rugby Club , a member of The Letterkenny Chamber of Commerce and a founder member of Donegal Business Network. I recently consulted with Garry Clarke and found him to be very knowledgeable which brought clarity to a way forward regarding a legal matter. I appreciated his practical, common sense approach and would highly recommend him. Thank you Garry.